MEGGS, one of the great blokes from the EVERFRESH crew, is a traveling man. 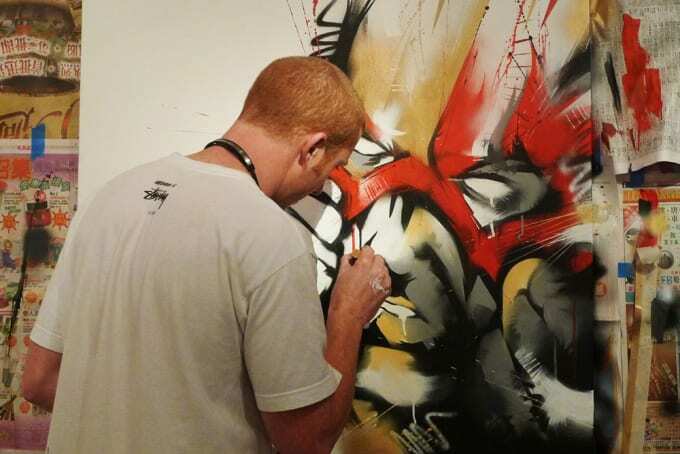 In 2012, he's painted in Hawaii, Hong Kong, and San Francisco. His exhibition at Above Second was awesome. His new work, set for display in SF very, very soon, looks awesome, too. Plus, and here we have to be a little transparent, we had a terrific time with him at Pow Wow.